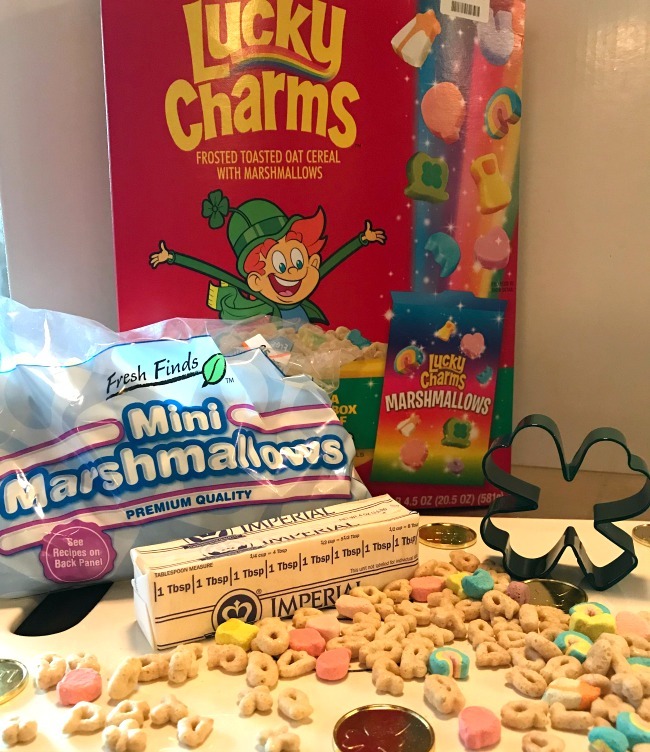 Move over Rice Krispies Cereal, Lucky Charms is here to play! 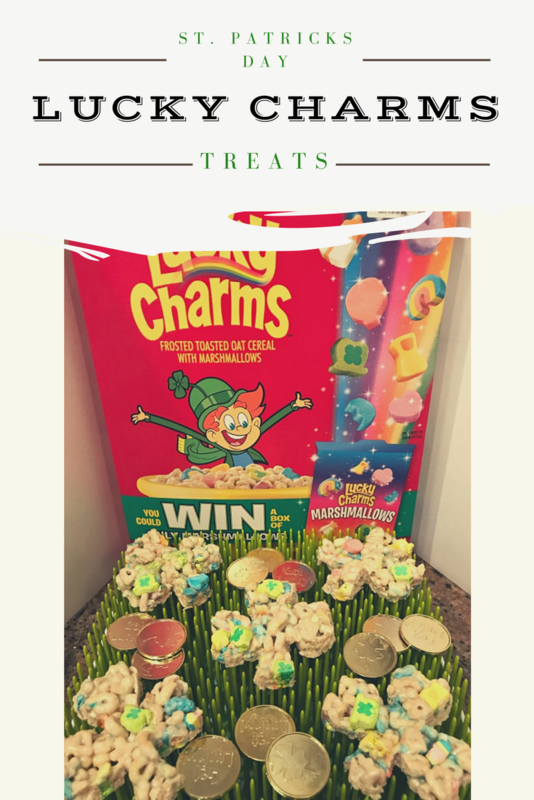 Instead of the traditional Rice Krispies treats, this St. Patrick’s day, we wanted to make this fun and easy recipe with a twist by making St. Patrick’s Day Lucky Charms Treats!!! 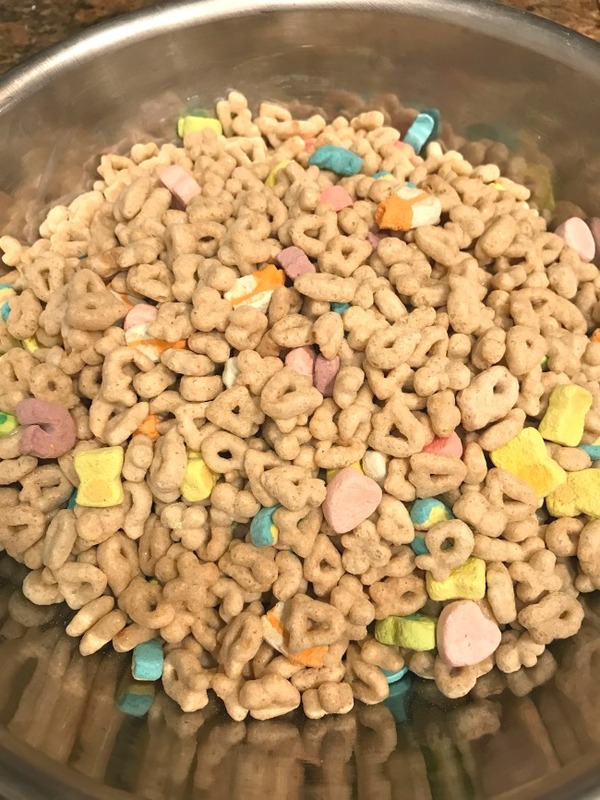 This recipe is so easy, your kids will love to help you make it, just make sure they don’t eat all the Lucky Charms marshmallows. All ingredients were so easy to find, my grand total was $7 dollars. 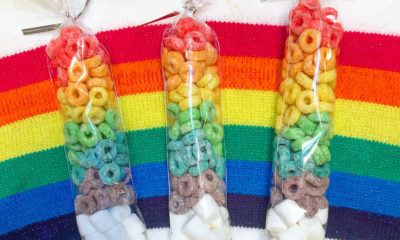 I can’t wait to bite into these! In a pan, melt the butter on low heat. 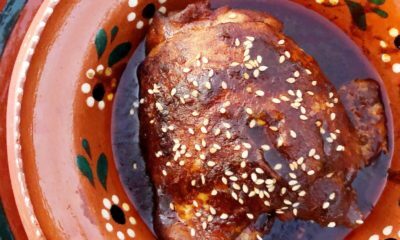 Make sure the pan is big enough for all the ingredients. 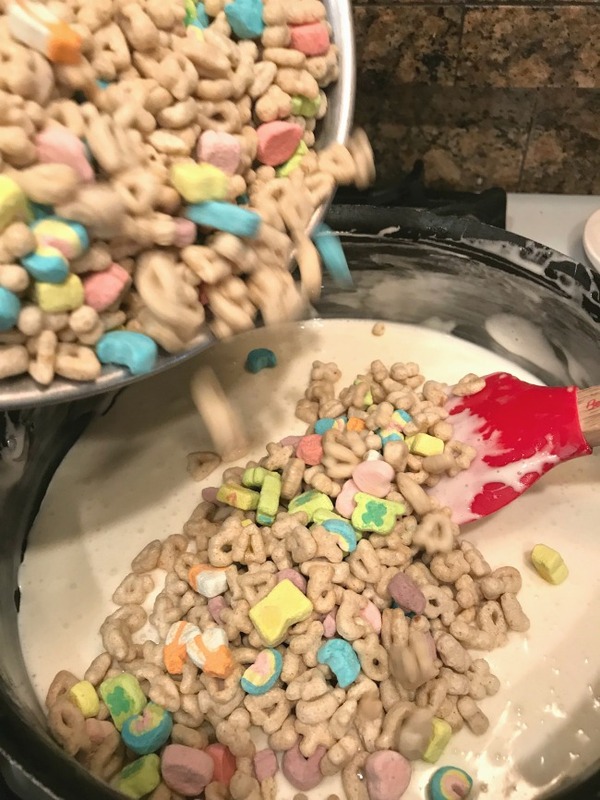 Add the Lucky Charms Cereal into the pan. 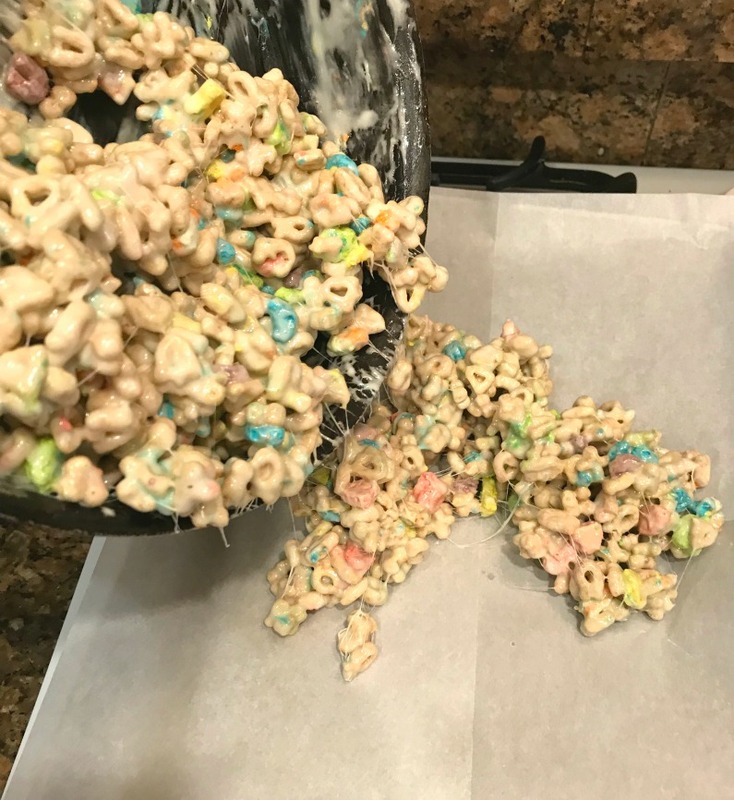 Use the folding method when combining the cereal and melted marshmallows (run the spatula around the side, then along the base of the pan. Now fold the mixture over onto itself. 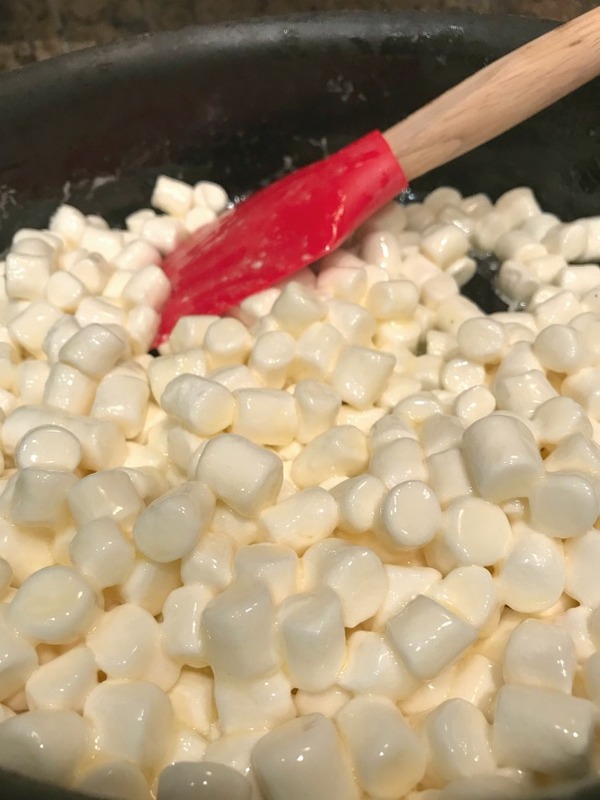 Rotate the pan, 90degrees and repeat until just combined) When working with colorful marshmallows, you don’t want to over mix them. If you over mix them, the colors start bleeding out. 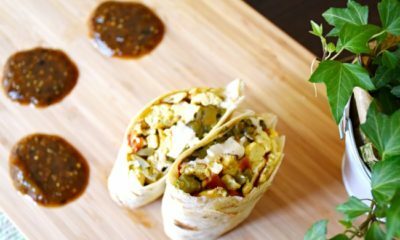 I used a 9×14″ baking pan, you can use anything you have or want for this tasty treat. Spray the pan with non sticky spray or use parchment paper, like I did. Pour the Mixture into the baking pan. Make sure to scoop the mixture onto the corners first, then even out the scoops throughout the pan and spread. 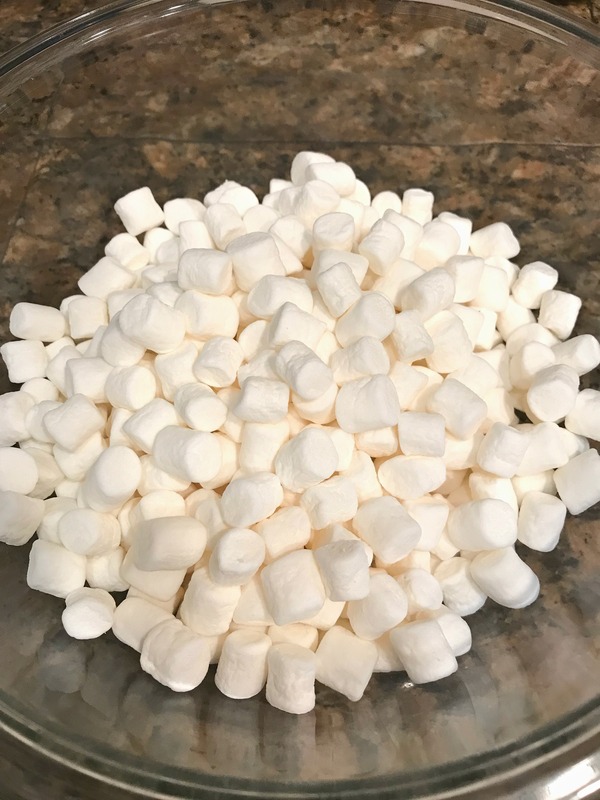 A little trick when working with marshmallow, butter or spray non stick on whatever you are using to spread the marshmallow, it wont get stuck on the utensils or hands. 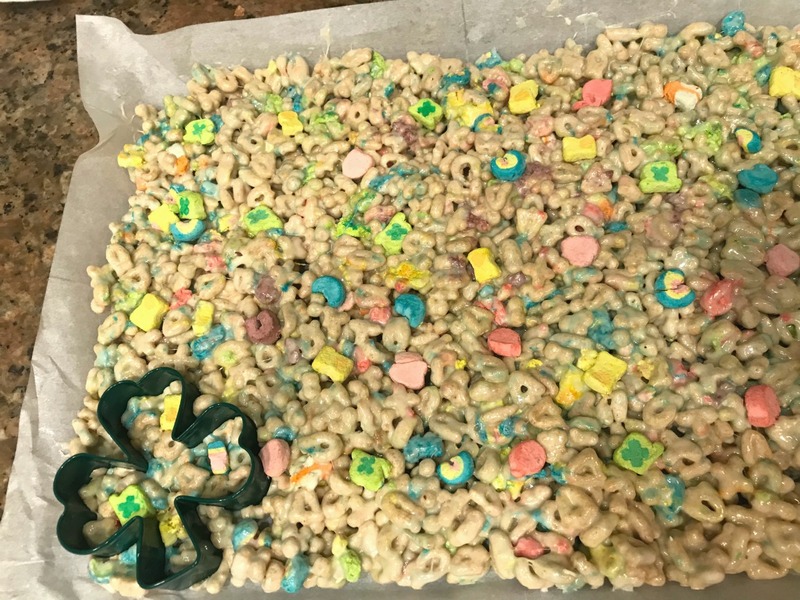 After spreading the mixture, let it cool until the Lucky Charms treats hardened. Get your Shamrock cookie cutter and start punching out shamrock treats. If you don’t have a Shamrock cookie cutter you can also get a chef knife and cut them into square bite size treats. 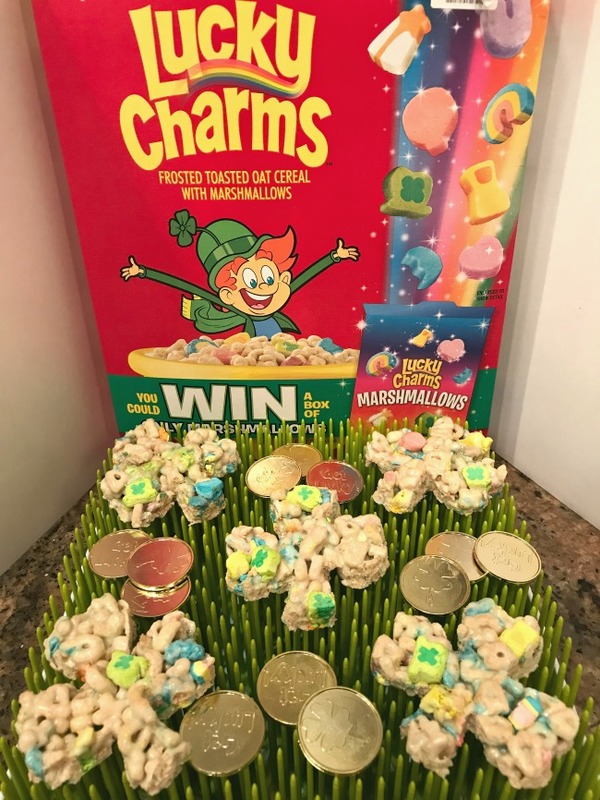 These St. Patrick’s Day Lucky Charms treats will be a big hit at your kids party! 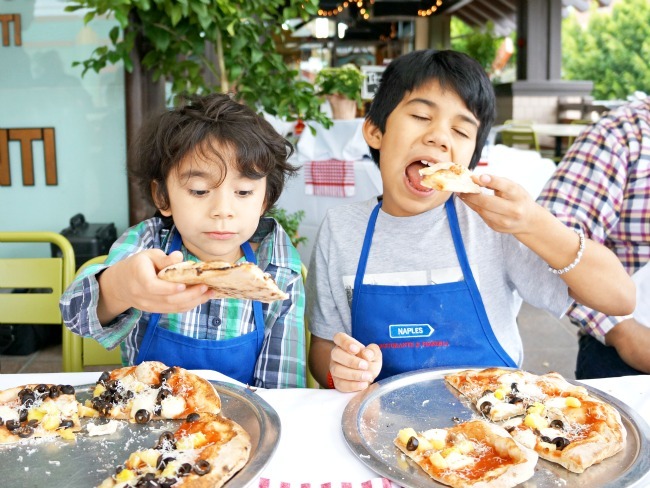 It’s also a great treat for a work or family event. 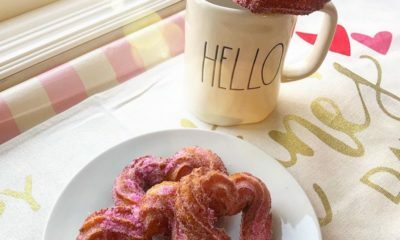 They are my new favorite flavor, I hope all of you enjoy them and have a blast making them with the kiddos.